The quarterback of the Cowboys offensive line, Travis Frederick, looks ready to return. 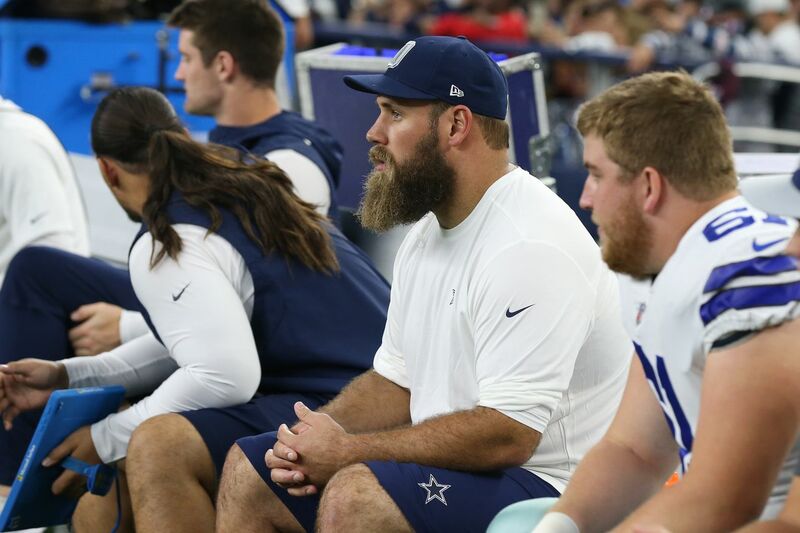 We didn’t get to see all-world center Travis Frederick play during the 2018 season for the Dallas Cowboys, Travis was diagnosed with Guillain-Barré syndrome shortly before it all began. There was so much concern and mystery surrounding Frederick, his football future was certainly in doubt but the wellness of his life was obviously top priority. Thankfully we’ve heard a lot of positive things from Cowboys brass regarding Fredbeard’s road back to football and we’ve heard a lot from Frederick himself actually as he’s appeared on 105.3 The Fan more often than most. As we’re officially in the offseason, questions have begun to surface as to when exactly Travis can return and he provided a lot of clarity on that during an interview with WFAA’s Mike Leslie. Frederick gives a lot of detail on what his life has been like for the last seven months or so during this interview, going as far as saying that he struggled walking to the lunch room at The Star and carrying his children up the stairs in his home. Dealing with something like this wouldn’t be easy for anyone and it occurred so suddenly for Frederick just months ago. As far as when he will return to playing football with his teammates, he notes early on that he believes that will be in March or April when team activities really get going. Frederick is a great person on top of being the best center in the NFL, one of the easiest Cowboys to root for, and his return will be welcomed by many. It’s so good to see him on the right track. We’re all rooting for him.